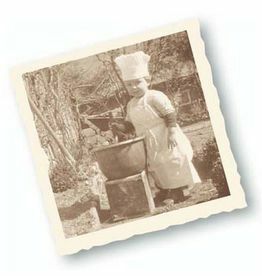 Little child, Henri Le Roux, is plunged into delicacy: his father Louis Le Roux was a famous pastry cook: he’s the one who prepared the dessert for the banquet served at the Billmore Hotel in 1933 to celebrate Franklin Roosevelt’s election. After six years in the US and one year in Australia, Louis Le Roux came back to France, in Pont-l’Abbé, Finistère, to create his own pastry shop. After 3 years of apprenticeship training in his parents’ pastry shop, Henri Le Roux went in Switzerland to learn the chocolatier trade at the reputed COBA, at that time the only candy school in the world. After a brief staying in Paris then Tours, Henri Le Roux came back in 1965 at Pont-l’Abbé to take back the family shop. 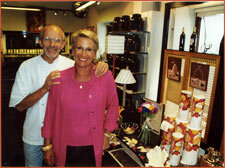 In 1977, he resells the business to create his own chocolate factory in Quiberon where his wife Lorraine comes from. They choose Quiberon because of a desire of change. Besides, the Thalasso centre, opened in 1964 by Louison Bobet, the great cyclist, led a yearly clientele in this summer seasonal place. Freshly installed in Quiberon Henri Le Roux decides to devote himself to ice creams and chocolates making. To differentiate himself through a new product, he is looking for a candy, simple, but never seen before! Then it became completely obvious: “ We are in Britanny, let’s make something with salted butter…”. After 3 months of testing, the recipe is ready: a slightly salted butter caramel with an addition of crushed walnuts, hazelnuts and almonds to produce its unique texture. That’s how he invented this recipe that gave him his unexcepted success and made him famous worldwide: the salted butter caramel! The first year, 400kg has been sold out, then 700kg the second year and so on… At first, an efficient word by mouth made the fame before the press grabs the phenomena! In 1980, he wins the award of the best sweet in France at the “Salon international de la confiserie” in Paris. Then, everybody will try to copy it but never equaling its really unique savour. In 1981, to cope with a lot of copycats, Henri Le Roux registers the brand name CBS® (for « Caramel au Beurre Salé » : Salted butter caramel). The success of CBS is worldwide, as soon as they taste it, customers are smitten and rush from Quiberon, then all Brittany till Japan! The longest caramel in the world! In 1997, to celebrate the 20 years of their chocolate factory in Quiberon, Henri and Lorraine Le Roux have this original idea to make the longest salted butter caramel in the world: 567.85 meters so, more than 200kg of caramel, the equivalent of 24 000 caramel sweets! The profit from sale of caramels was donated to the pediatric department of the Curie Hospital in Villejuif and the SNSM (Société Nationale de Sauvetage en Mer). Discover the story of Henri Le Roux and the salted butter carmel in the book « Caramel & beurre salé » d’Henri Le Roux et Bénédict Beaugé, available in our online shop (in French only)! Best chocolatier of France! And "A Must"! Henri Le Roux distinguishes himself also with his chocolates, his genius lies in associating the top-quality cocoa beans with subtle garnishes to enhance the taste harmony of his creations. Thus, in 2003, the “Guide des Croqueurs de Chocolat » ranks Henri Le Roux « Best chocolatier of France » with the maximum mark of 5 chocolate bars, placed equal as Jean-Paul Hévin and Robert Linxe, from the ”Maison du Chocolat”! 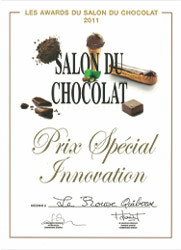 In 2011, our Yuzu Macha mini bar has been awarded with the Innovation Special Prize. In 2014, the "Club des Croqueurs de Chocolat" we have been awarded as "A Must" among the greatest 20 "Incontournable" chocolate makers in France. 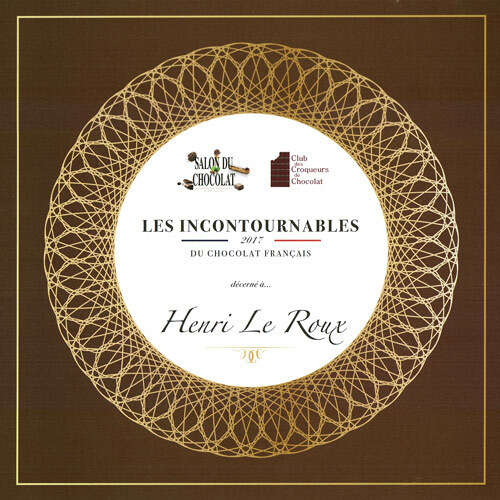 In 2015, 2016 and 2017, we were very proud to be awarded again as "A Must" among the greatest 14 "Incontournable" chocolate makers in France by the "Club des Croqueurs de Chocolat"
In addition to his delicious CBS, Henri Le Roux has more than 80 creations. Let’s mention especially the outstanding Truffe de Truffe®, a delicious mixture of a moist bitter chocolate cream and fresh truffle, the most luxurious chocolate in the world! The Truffe de Truffe®, the most luxurious chocolate in the world! Find out all these delicious pleasures in our online shop! 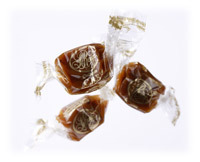 Japanese are very fond on the salted butter caramels of the “master caramélier”. In 2004, Henri Le Roux meets people of Yoku Moku, a japanese company of high-quality cookies. 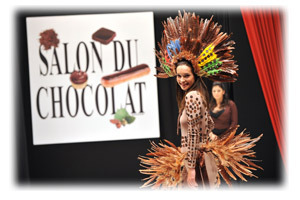 They invited him to participate in the “Salon du Chocolat” in Tokyo. This is the beginning of a good friendship that will lead to a great collaboration. Indeed, in 2006, Henri Le Roux decides to sell his business to these persons of good taste that will know how to perpetuate Henri Le Roux’s taste and quality tradition. The Landevant "Very Big Laboratory"
Then, the brand is getting modernized and a new visual identity. In May 2007, a Henri Le Roux shop opens in Tokyo, Japan. The Quiberon workshop had become too small to export to Japan, so in June 2008 a 2300m2 new production site with a shop along is opened in Landévant (Brittany) : the “TGL” (for “Très Grand Laboratoire”: Very Big Laboratory). Besides you’re welcome if you want to visit the workshop! In the Landévant new laboratory the chocolate making is still hand-crafted as we refuse to produce in an industrial way! We select meticulously all our cocoas according to their origin and quality: Vanuatu, São Tome, Colombia, Venezuela, Madagascar.... Our suppliers are chosen carefully as well. We only use natural products (no GMO!) and no preservative. This is the secret of quality! 2000: Pierre Balmain dress worn by Charlotte Valandrey. 2001: Pierre Balmain dress created by Oscar de la Renta, worn by the French actress Gabrielle Lazure. 2004: Dress created by Sylvain Le Roux and Marine Labarte, worn by Nathalie Yannetta and her daughter Salomé. 2005: Wedding dress « Le Rêve du Papillon » created by Aurélie Cherell, worn by Alizée. 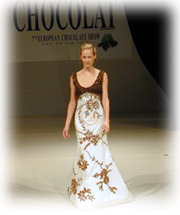 2006: Dress created by Aurélie Cherell, worn by Sandrine Quétier. 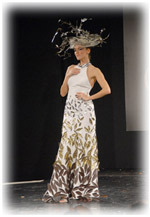 2007: Dress created by Aurélie Cherell, hat created by the hatter Fabienne Guénault, worn by Anita. 2008: Dress created by Fanny Liautard, worn by Alexandra Rosenfeld, “Miss France 2006”. 2009 : Dress created by Márcia de Carvalho, worn by Carole Brana.